Important Notice: These shows are for education and entertainment purposes only and are not intended to diagnose, treat or cure cancer or any disease. Listening to these shows constitutes you taking liability for all methods you do or do not employ. The Wellness Workshop, Phil & Celeste Davis and their affiliates, associates or guests are not liable for how you use this information. Please consult a licensed medical practitioner with all matters relating to your health and well being. Victory Over Cancer and Fear! Stephanie Carmichael learned to walk by faith and not by sight after two battles with breast cancer. She willing shares her struggles and how she found new faith for herself. Rather than a "survivor" she sees herself as a "Victor" with God's healing power and strength. Anyone struggling with fear in any form will benefit from this powerful testimony. Listen to her visit with Phil and Celeste Davis on The Wellness Workshop Radio Hour at the end of this post. 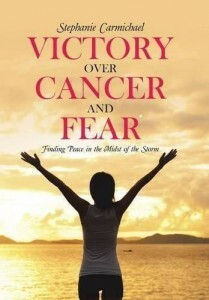 Stephanie Carmichael is an inspirational speaker and author of the book Victory Over Cancer and Fear. She is a two-time breast cancer survivor and has learned how to have joy and peace in the midst of the storm of cancer. Stephanie currently serves in Stonecroft ministries, an evangelistic outreach speaking ministry. 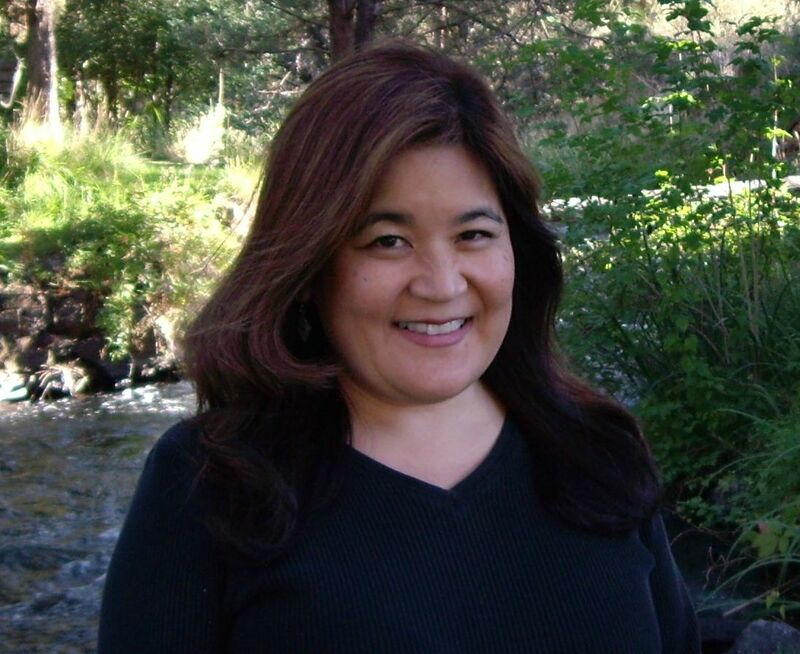 She has travelled across the Pacific Northwest as an inspirational speaker since 2010. Stephanie's heart is to reach out to people who are diagnosed with cancer to help them walk through the fear and gain a new peace and increased faith. There is joy to be found even in the battlefield of cancer - peace in the midst of the storm, and that is victory! Stephanie and her husband Mark have also served as leaders and teachers in the Ministry Training Institute at their local church in Bend, Oregon since 2003. 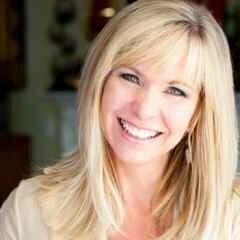 Stephanie is also available as a speaker for Christian women's events. Tamara Finn (who I call the Erin Brockovich of Cancer) shared the true story of her son's amazing cancer recovery...using God's healing power and nutrient dense AIM juices. See the update as of October 2018 at the end of this article. Tamara is a fiesty lady with a lot of faith in God and nutrition. Your child has cancer. A mother's worst nightmare. It can paralyze you with fear and cause you to lose hope. But not Tamara. Tamara had faith and prayed to God for answers. A fighter by nature, Tamara studied and prayed and found that whole God-Made, organic foods was what he needed most. A friend who had healed from cancer, Cindy Ponchot, introduced Tamara to the powerful nutrition products from the AIM companies and God's healing power went to work where man's treatments failed. This family did not have a lot of extra money to spend but God provided and today her son is happy and healthy. "The doctors treatments were killing my son. Finally I had enough. I took him home, if he was going to die, he could die there, but I believed he would be healed. His doctor told me I was murdering my son. He was wrong." Tamara's son was told he would never be able to produce sperm to have a child. 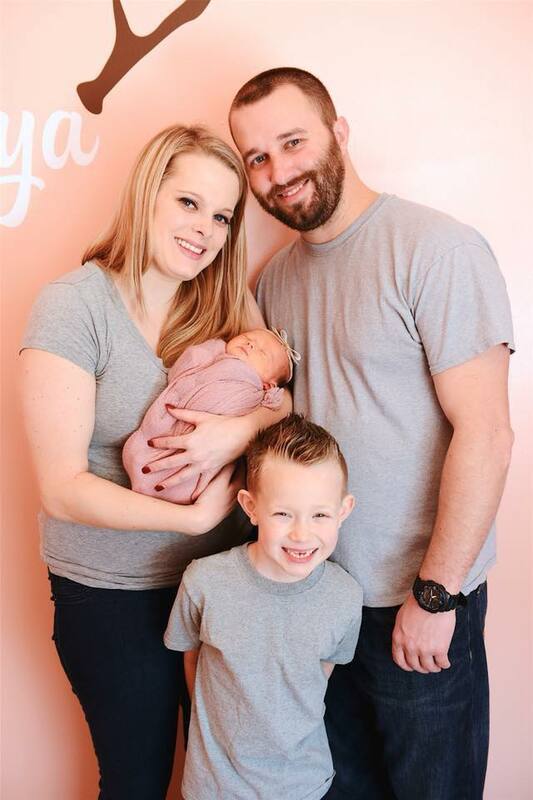 In the spring of 2017 his fiance told him he was going to be a father. He wept at this news, God's healing is complete. He and his fiance are filling their body with good nutrition and expect a healthy child later this year. 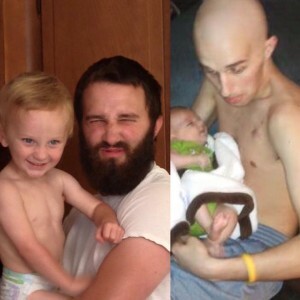 Here's a photo of her son in the heat of his cancer battle and her son 5 years later, strong, healthy and cancer free. And here he is with a child of HIS OWN inspite of a rare cancer diagnosis!...7 years cancer free! Listen to Tamara share their story Live on our Radio Show, The Wellness Workshop Radio Hour. There may be a few seconds of silence before the opening song comes on. Be encouraged! God Heals! 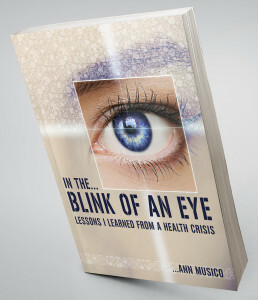 Ann Musico is a personal friend and a holistic health coach. Last winter Ann was diagnosed with a very serious medical condition that required removing part of her colon; not a happy thought for anyone but especially someone who focuses on natural health and healing. We will be discussing Ann’s latest book where she records her health journey, “In The Blink of an Eye” and partnering with God, the medical establishment and natural health practices for a speedy recovery. There will be a few seconds of music and station ID before the program begins. I believe all the positions I’ve held and every experience in my life has been to fulfill this season as a Writer and Speaker. I’ve spent over half my life in volunteer ministry. I was a counselor and staff pastor at a large church in Central Oregon for almost a decade. In the last decade, after resigning from that position, I’ve experienced a breakdown and a breakthrough. I’ve battled for my daughter’s life and my own– two dramatic and miraculous healing stories. I write in my blog, Between the Choices. I believe this is where life happens. If one choice brings a setback, we have an opportunity to choose well and move forward in an authentic, transformed life. My vision is that people everywhere will be free to experience a healthy life– body, soul and spirit. My mission is to empower people to remove barriers to freedom in order to experience a healthy life– physically, emotionally and spiritually. Simply put, free to heal. Our August Weekly Radio Programs are all about Relationships! Sue Detweiler is a wife, mother of six, author, and pastor with more than twenty-five years of experience in marriage, ministry, and education. She is also a popular speaker who shares her heart and wisdom internationally on issuSue Detwiler 2es related to marriage, family, women, prayer, leadership, and ministry. Sue’s first book, 9 Traits of a Life-Giving Mom, hit No. 1 on Amazon’s hot new releases for Christian women’s issues. Her newest book, 9 Traits of a Life-Giving Marriage, grew out of her and her husband’s heart to help couples grow closer to God and to each other. In their pastoral ministry to marriages, they have seen how sharing their own struggles helps to create a safe context for couples to be transparent and honest with their own issues. Wayne and Sue have also seen God’s transformative power heal and restore marriages through the marriage conferences and work- shops they have led. For more books and resources or to schedule a speaking engagement, visit SueDetweiler.com or email info@suedetweiler.com.